Description: A book of marine and landscape paintings around the Texas gulf coast, many depicting scenes in Galveston. 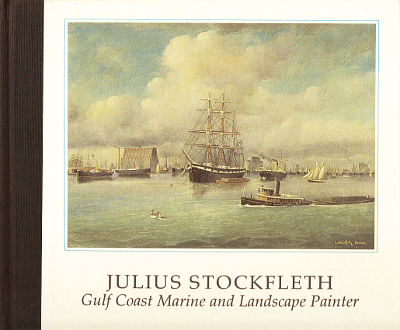 Julius Stockfleth (1857-1935) was a little known painter in Germany and Texas whose work is significant for the valuable record he left of old Galveston, its ships, harbor, and variety of homes in the island city. 161 pages, B&W and some color plates. Produced in association with Rosenberg Library. Viewed: 2,759 times since January 10, 2013.